There's a lot of excitement among Star Wars fans centered on the newest patch of development at Disney Parks. 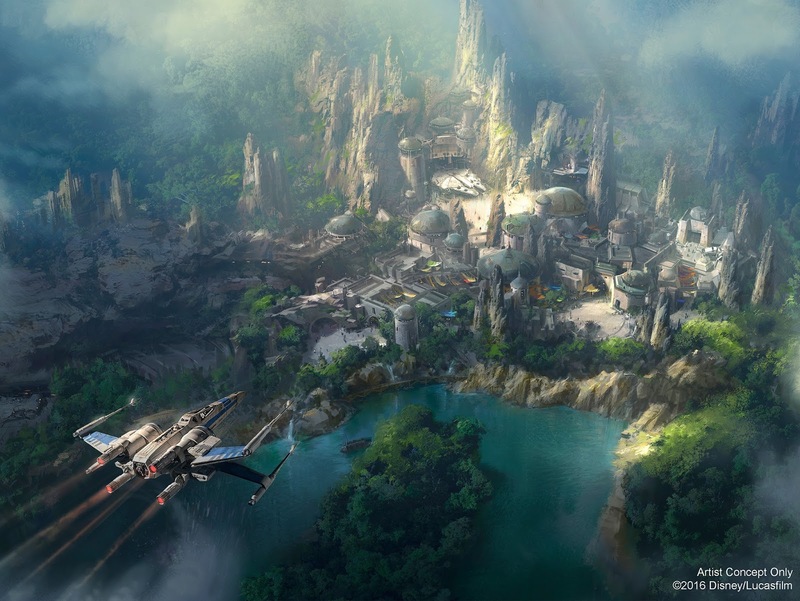 "Star Wars Land", as it is affectionately referred to by many, is a currently under construction 14-acre Star Wars-themed expansion to both Disneyland in California and Walt Disney World in Florida. This new land will be the largest single-themed area ever built at a Disney Park. 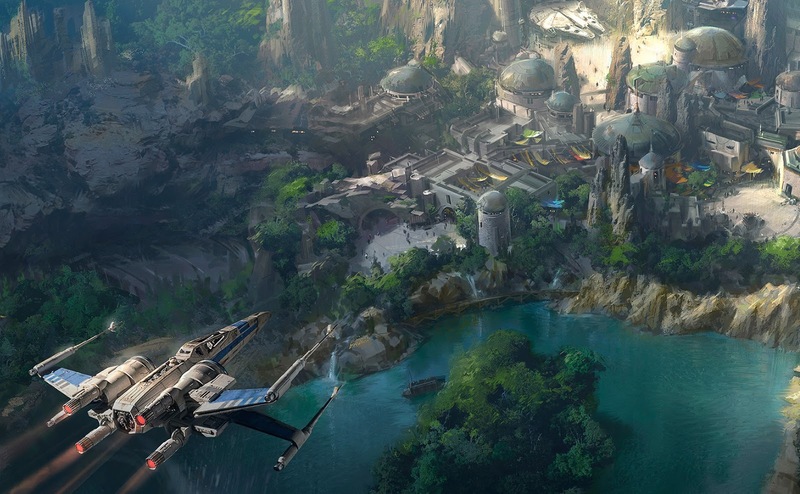 Today the Disney Parks Blog announced that a new piece of concept art from Star Wars Land has been unveiled at Disneyland. On the fence along Big Thunder Trail in Frontierland park guests can spot the concept art, which features a bird's eye view of the upcoming land and is full of Easter Eggs. That particular area in Frontierland will be an entry point for Star Wars Land, which promises to transport guests to a completely new planet in the Star Wars Galaxy. Construction on both lands began back in April of this year, and it is still unclear when the area will officially open to guests.